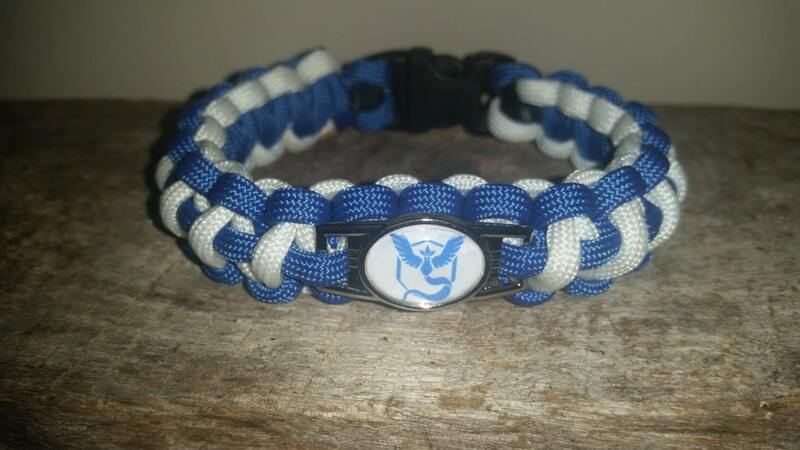 Up for purchase is one CUSTOM Paracord bracelet with Pokemon go Team logo shoelace charm. 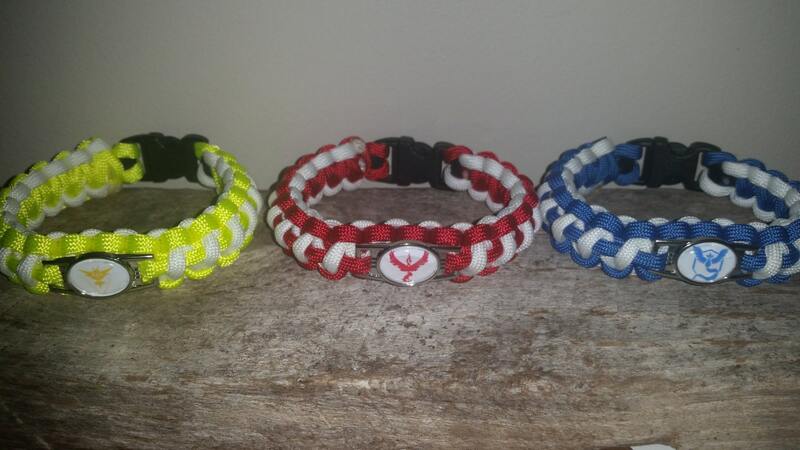 These are handmade by me a cancer survivor (Burkitt's Lymphoma) who picked up this hobby to pass time during my treatments. 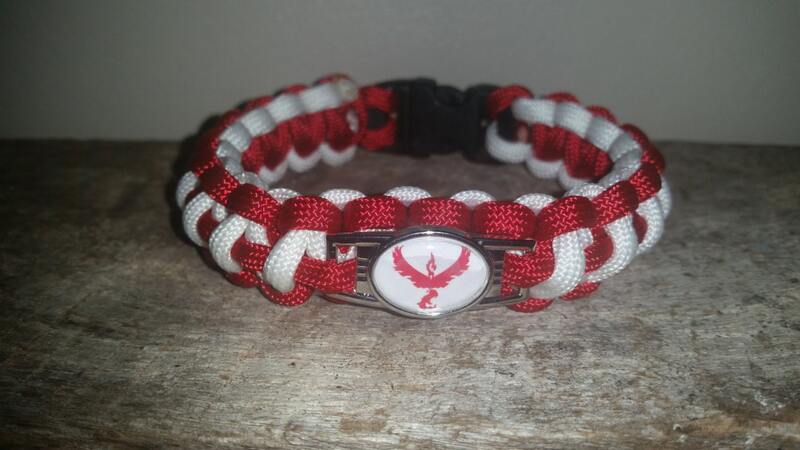 Each Paracord Bracelet is made with a .6" black curved side release buckle for added comfort using 550 paracord. 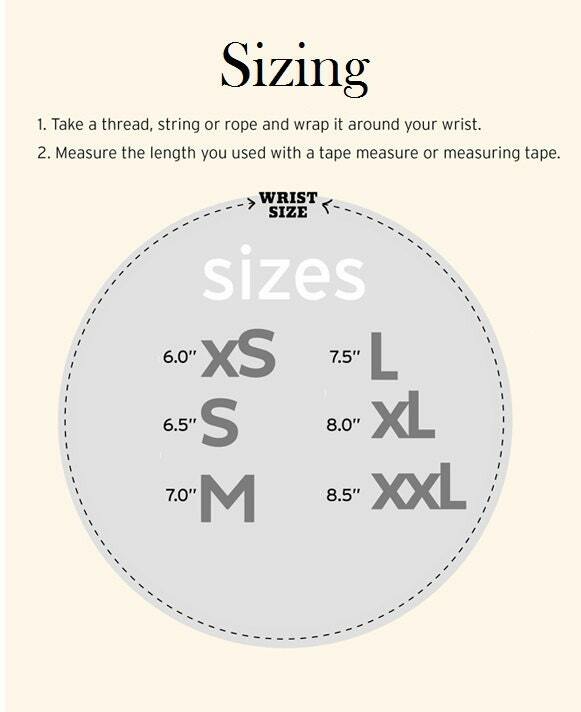 Wrist Measurement:Use either a seamstress tape or flexible tape measure (You can also use a piece of string or yarn and a ruler). Wrap it around the area you wish the bracelet to fit snugly. I will add the necessary measurement to make it fit comfortably. DO NOT USE ANY PREVIOUS BRACELETS TO GET A MEASUREMENT. I am not responsible for measurements given incorrectly. Use either a seamstress tape or flexible tape measure (You can also use a piece of string or yarn and a ruler). Wrap it around the area you wish the bracelet to fit snugly. I will add the necessary measurement to make it fit comfortably. DO NOT USE ANY PREVIOUS BRACELETS TO GET A MEASUREMENT. Every wrist is different so please get me the best possible measurement. Do You Provide a Bulk Discount? Have a fundraiser or event coming up? 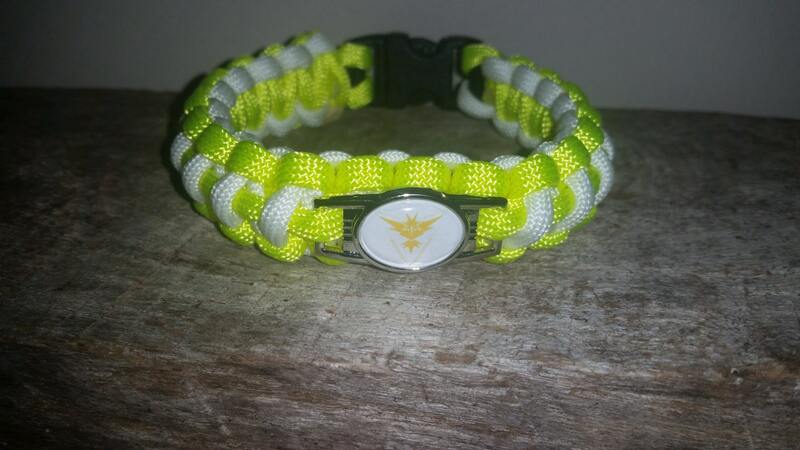 Just contact me and we will see if we can do a bulk discount.